If you read my “Shocking in Santiago” post a few weeks back, you already know that quite a few things surprised me about life here in Santiago. Weirdly though, one thing that slipped my mind and I totally forgot to add to the list, which really shocked me the most, was the language. 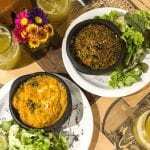 Before moving to Chile, I had heard many a tale of the strange language known as ‘Chileno,’ or the Chilean version of Spanish. Still, I figured after 2 years living in Spain, it couldn’t possibly be that bad. My first memory after plane touchdown in Santiago goes something a little something like this- at 8 AM after an overnight 10 hour flight, my friend Mandy and I finally collected our bags and head towards the airport exit. Eager to get to our hostel, we quickly made our way over to the Transvip transfer desk and began to converse with the attendant. After about a 10-minute conversation trying to set up our transfer (which had by the way already been arranged, confirmed and paid for) Mandy and I exchanged a glance- this whole Chilean language thing was definitely going to be harder than expected. After similar interactions with our driver and several vendors on the street, I finally knew what all the fuss was about. This “Chilean Spanish” was hardly Spanish at all! 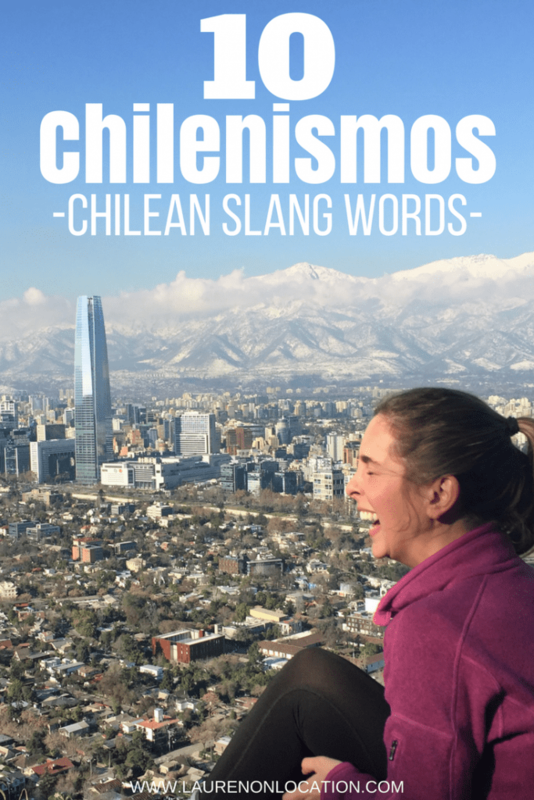 Anyway- long story short, I could dedicate an entire blog to the art of ‘Chileno’ and these ‘Chilenismos,’ or Chilean slang words. Actually, there are many dictionaries, books and Youtube spoofs dedicated to the topic. BUT for today, I figured I’d just give you your first lesson on this complicated subject. 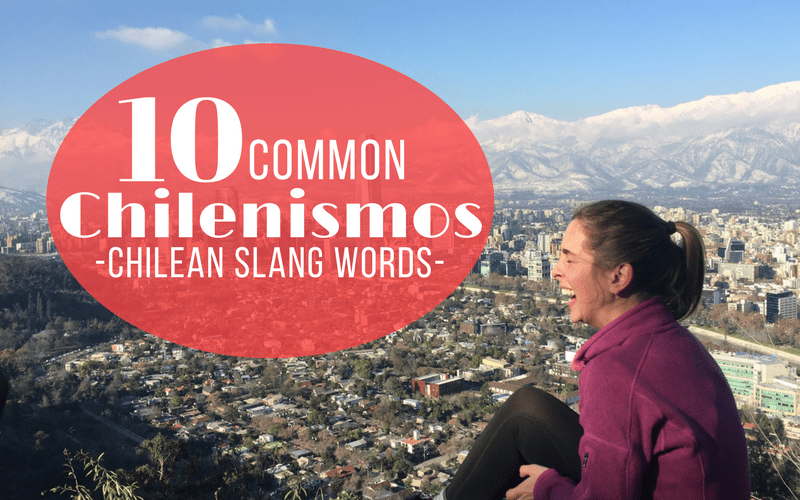 Here are 10 of the most common Chilenismos, that you’re sure to hear pretty much any time a Chilean opens their mouth. 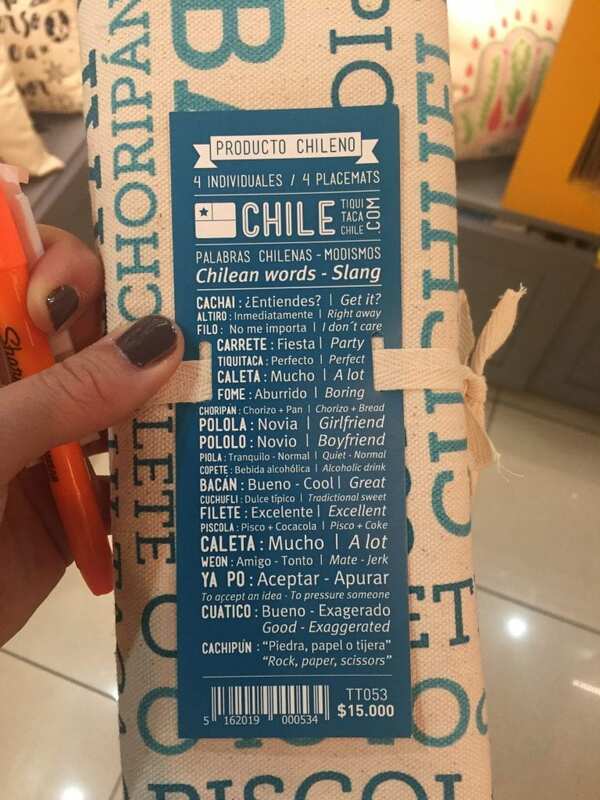 If you want to become a part of any conversation in Chile, be sure to go armed with these words, and if you don’t plan on talking to any Chileans in the near future- well, here’s to hoping you still find them interesting! 1. Chachai? – You catch that? Fome means that something is ‘not cool,’ lame or boring. You’ll often hear the phrase- ‘que fome,’ or how boring! One I got pretty much anytime I did a ‘not so exciting’ activity at school last year..
Bacán is another one that’s used in pretty much any casual Chilean conversation. Well, as long as there’s something ‘cool’ to talk about. Chileans use ‘Cuico‘ or ‘Cuica‘ to talk about people with money. Most of the time, it’s more than just money though; it’s also the attitude that comes along with it. Depending on the context, it can mean stuck up or snobbish. Every Spanish speaking culture seems to have their own verison of this- back in Spain it was pijo(a). Gosh, where do I start with weón. Or should I say ‘hue’on’ or even ‘huevón.’ This is such a loaded word, with so many meanings in so many different situations. One thing’s for sure, you should be careful how you use it. Depending on the tone of your voice, the context and even who you are talking to, this word can mean SO many different things. BUT for reasons of keeping these explanations short and to the point- we’ll say it means something along the lines of dude. It can also mean friend, idiot, jerk, loser, player, clown, and well, the list goes on and on. You’ll also hear the words ‘hue’a’ or ‘wea’ thrown around pretty loosely. This is used to refer to a thing, a situation or even something abstract. Used correctly, wea can pretty much mean anything you want it to. Good or bad. Pololo and Polola mean boyfriend and girlfriend and you can also use it as a verb- ‘pololear.’ So, if you say ‘están pololeando‘ (which I suggest you do because it sounds hysterical), you’d be saying- they’re dating or they’re seeing each other. Be careful, because ‘novio‘ and ‘novia’ AKA the normal Spanish words for boyfriend and girlfriend mean fiancé here in Chile! An example of how to use it- ‘Vas a carretear esta noche?’ – You going out tonight? Cuático and brígido are pretty much interchangeable but completely dependent on the context. Even more so than weón. Most of the time, you use these words to describe something shocking- either good or bad. They can mean anything from weird, great, exaggerated, incredible, horrible, and pretty much anything in between. Piola can also be be used to describe a person. If a person is piola, they’re calm, relaxed and don’t cause problems. They might even be quiet or shy. They pretty much just fly under the radar. Caleta is used to say- a lot of, too much or a large amount of something. It’s used ALL the time. I guess Chileans like things in big quantities. For explanation’s sake, I’ll give my own example- “Chilenos usan la palabra ‘caleta’ caleta,” or “Chileans use the word ‘caleta’ way too much.” Yeah I know, corny. 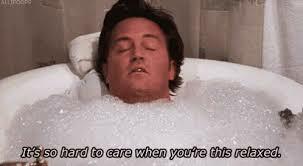 Guess what- I don’t care. Well, I guess I kind of tricked ya, because ‘po‘ or ‘poh‘ isn’t really a word at all. It’s just a kind of space filler. Chileans will attach ‘po’ onto the end of any word or sentence, but mostly you’ll hear something along these lines – ‘sí po,’ ‘no po,’ or ‘ya po.’ But like I said, Chileans toss around ‘po’ more than your dog’s favorite chew toy. Add it to your Chilean vocabulary and it’s sure to be a crowd pleaser. Oh yeah, and for a video of some of my Chilean friends explaining these crazy Chilenismos in their own words, check out this video!! Which of the above words was your favorite? Have you ever heard of Chilean Slang? Sharing is caring! Pin this post and save it for later! Love this! I can only order a cooked breakfast in Spanish so this slang is all new to me. My spanish accent is horrendous so I think I’ll stick with chachai because I reckon even I could pronounce that! I teach English to international students and I love teaching slang but the students always find it so confusing! The good thing is once you master some slang, you can speak the lingo like a boss! These are all spot on! All of these words are normal to me as I never learnt Spanish before Chile, ha! And my favourite has to be pololo, i just love how it sounds! Speaking NO Spanish, these are all new for me lol. But I had a similar experience last week meeting someone who speaks English “cockney” … I’ve lived in England for years and figure I have the slang down pat, but I had NO CLUE what she was saying haha. Love this! I’ll be in Chile next month, already heard Chilean Spanish is quite different so I might struggle a bit! I’m laughing so much! Spanish is SO different between countries and even within the country! We also say huevon but it usually means lazy, or que hueva which means boring. And our poh is pues, but some people say pos, or pueh. Aaaaah, this is just so crazy. The pololeando has me in stiches, btw. I cant even pronounce it! Never heard any Chilean slang (but I watch the Dakar so maybe I have and just didn’t understand it!) but I just started learning Finnish and one of the fist words you learn is ‘Cheers’. Thought that sounded very civilised. I think I’ll like Finland. Getting an understanding of slang is the hardest part of learning a language but also the best! I have so much fun laughing at weird things that Germans say. One of my favourites is ‘Alter’ which, translated literally, is ‘old man’, but means something along the lines of bro! Brilliant! What a great guide. 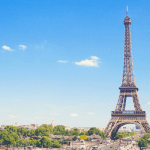 Honestly, it’s so hard when you’ve learnt a language, but when you travel to that country suddenly it doesn’t seem to make sense – because of all the slang and local dialects! Definitely the hardest part of learning a language. I took Spanish throughout high school and went to Spain on a foreign language trip and it was tough! It was only then that I learned just how many different tongues of Spanish there are. I can imagine how tough it must of been for you to learn the language and slang! I love posts like this! The thing I noticed when I was in Chile is that they often drop the syllable of a word. It confused me so much. Or they’d make a word into the baby version by putting “ita” after it! I can totally relate to this post!Rewarding information, the best part is about word-po, i like it!